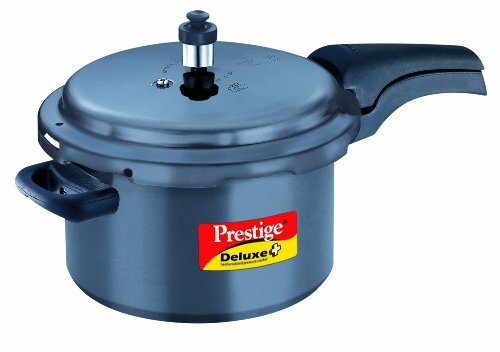 10 Best Rated Pressure Cookers in India: Cooking food in a pressure cooker is the easiest, safest and delicious way, it could be rice or meat or lentils, you just need to get your measurements right and the pressure cooker does the rest. 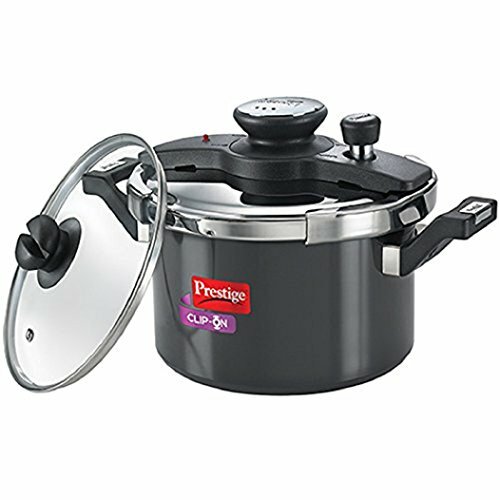 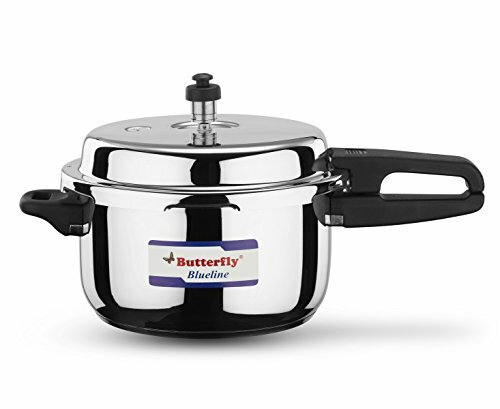 Pressure cookers are offered in different sizes and features, and finding the best one really depends on what size and features you need, buying an expensive pressure cooker doesn’t mean it is the best for you and the same goes with cheaper one’s too. 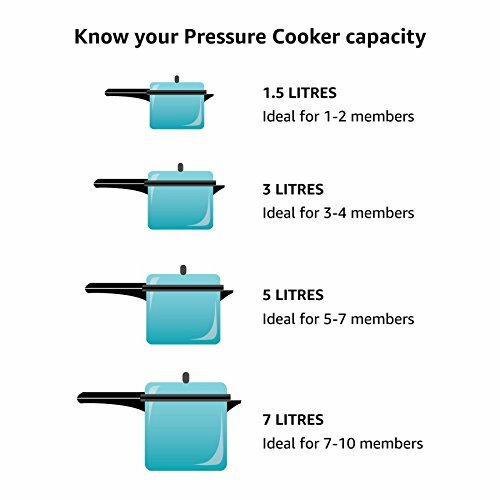 Choosing a wrong size can make using your pressure cooker frustrating, the capacity mentioned on the pressure cooker measures the volume of liquid it can hold and only 2/3 volume of it can be used for cooking. 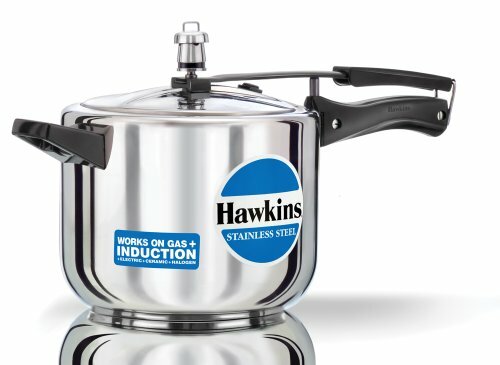 We’ve narrowed down a list of top rated pressure cookers most deserving space on your kitchen counter. 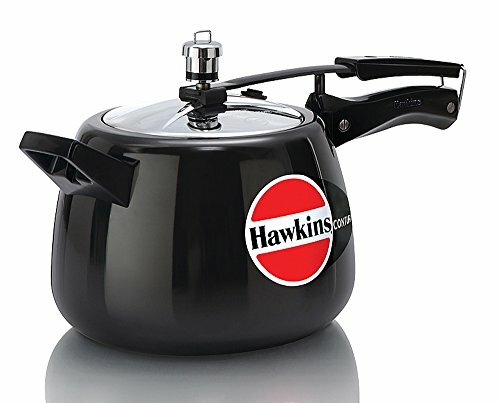 Bakelite Handles with Twin Screws - Heat Resistant Bakelite Handles with 2 screws instead of 1 screw to avoid loosening. 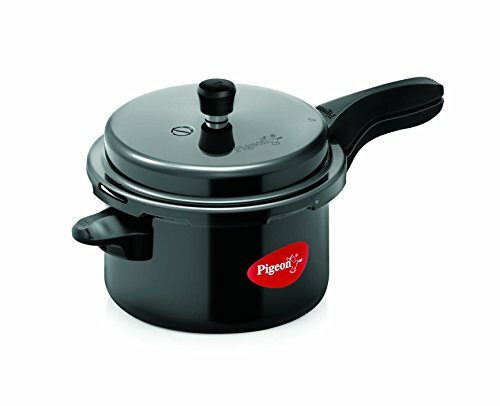 Cooks Faster, no burning of food because of high impact banded base. 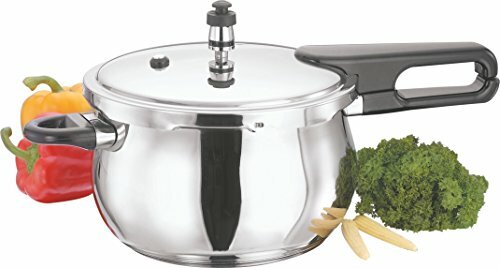 Satin Finish - Non stick inside finish for easy cleaning.